I am now in possession of the two most badass papers I’ve ever had in my life!! 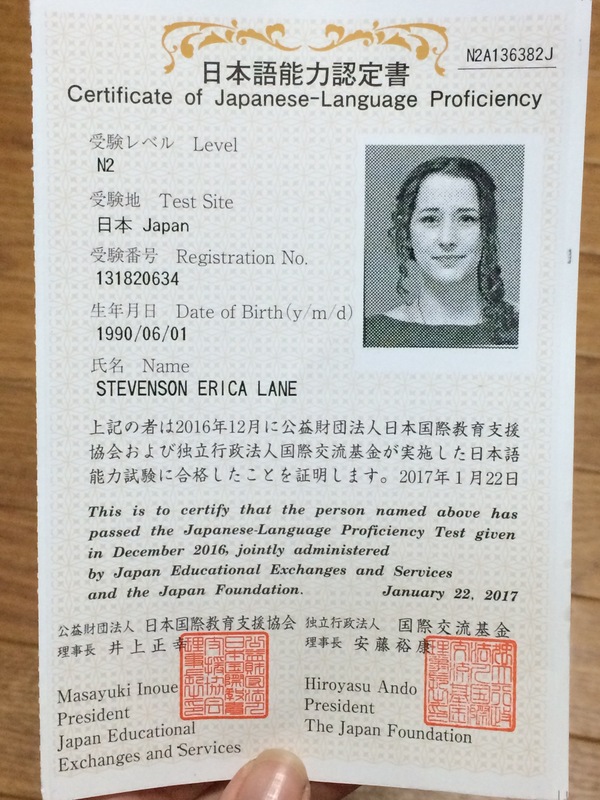 JLPT stands for Japanese Language Proficiency Test, and is an internationally recognized certificate for anyone wishing to enter a Japanese company, or Japanese speaking profession. It can only be written twice a year in 100 cities worldwide and have 5 levels-n1 being the most difficult. Basically, N1 is required for example, for foreign doctors who wish to practice in Japan. You need to know 2000 Kanji to pass the N1. But, I got the next best thing,N2!!!! But saying knowing kanji means you know Japanese is equivalent to saying someone can speak English because they know the alphabet. I wish it was that simple, haha. So why did I want this little paper thing so bad? 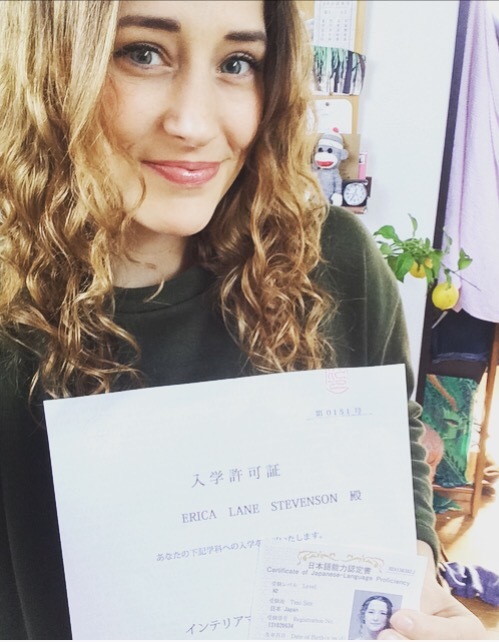 This certificate is my ticket into Japanese Companies or Japanese Universities- which brings me to my second very cool paper thing. This course is nothing short of a dream for me…. If you know me from Canada you know that I have already been working construction and renovation for, well, all my life- but this is going to take me to the next level! 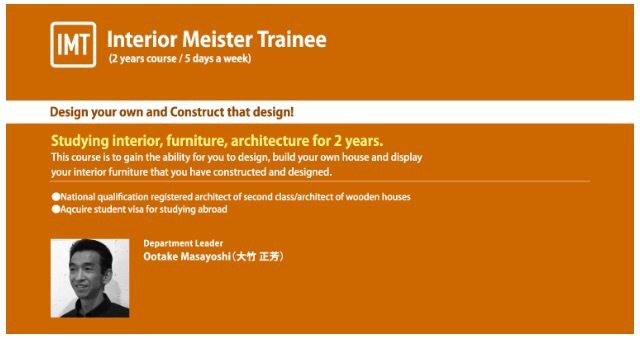 I will learn a HUGE variety of things, from designing furniture to drafting renovations using CAD to doing everything from piping to tatami mats and supervising any field of work within a work site. 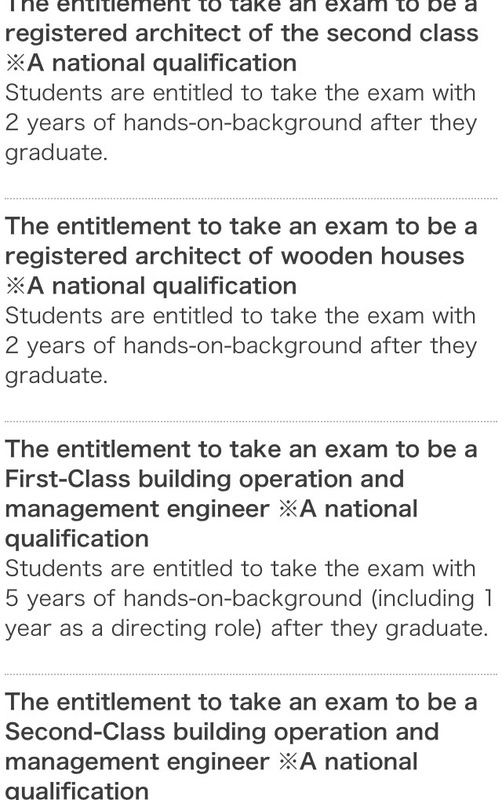 After I graduate, if I am willing to go a little bit further, I am qualified to take a few more tests.. 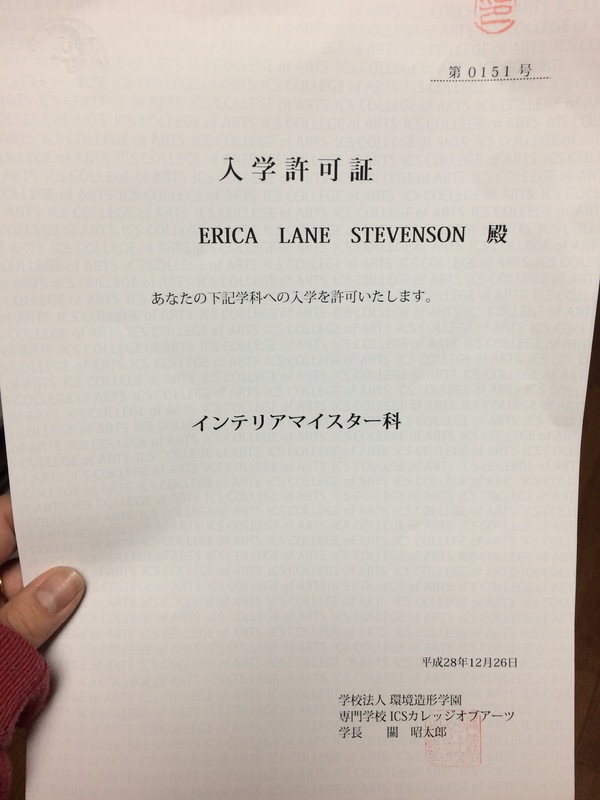 So, this is a Japanese college, and all classes will be in Japanese and almost all of my classmates will be Japanese! Insane!! I read once that to find a passion you need to find something that is a cross of three things you are interested in. And, I really feel like this will be my passion. Thanks Fam for working so hard too, to get me here, and my friends and family for being crazy enough to believe in me that I could get this far, love you guys to pieces. Ahhh Erica! Congratulations! I think it’s great what you’ve done!